At Woodlawn Swap ‘n Play each family enriches the lives of others through participation in our cooperative community. We are a place where children play, parents socialize, and kids toys and outgrown clothes are swapped. Through hosting family activities, playgroups, and kids music events, we hope to foster a sense of community, trust, and well-being for all families. The vision behind 700 NE Dekum was to create a space in the Woodlawn neighborhood where community could happen. The 3 businesses located here have the privilege to do just that. 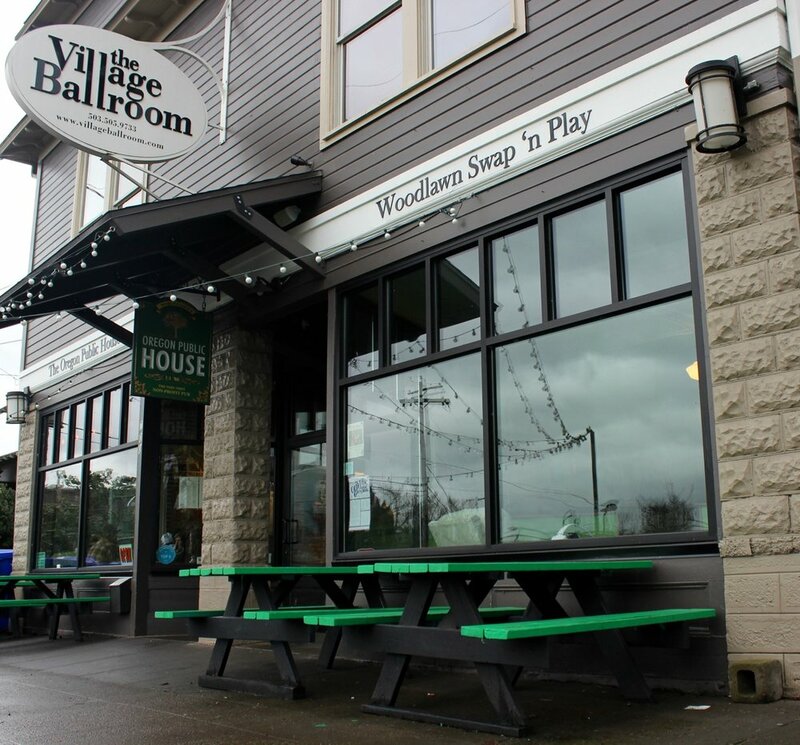 There’s an intentional relationship between the Woodlawn Swap ‘n Play, The Oregon Public House and The Village Ballroom where each business gets to participate with the others to facilitate great stuff. Come by the Swap ‘n Play and order great food next door at the Public House. Come into the Village Ballroom for one of the weekly concerts that the Swap ‘n Play puts on. Have a pint and change the world at the Public House while your kids play in the pub's play space (which is hosted by the Swap). Play time, concerts, meals, beers, weddings, meetings, square dancing, family movie nights, etc., are all happening in one building through 3 different businesses. It’s amazing! Every week, we partner with local artists and entrepreneurs to bring amazing events to our spaces. Check the full calendar for special events, holiday closures and schedule changes. Not familiar with our musicians? Check them out! We're located right in the heart of the Woodlawn triangle alongside kid-friendly restaurants and parks.